If you are looking to buy or sell why not go with the number 1 real estate office in North Carolina. Exit Realty Mountain View Properties is NUMBER ONE in North Carolina for Exit. This regional ranking is for the first quarter – January 1, 2012 – March 31, 2012. This means that as an office we had the most transactions. In the rankings for agents we have two in the Top 10. We are so proud of Kathlene Vetten, Owner Broker as is NUMBER ONE in the agent rankings for North Carolina. We are also very proud of Helen Russell who is number 5 in the rankings. So, whether you are buying or selling call the NUMBER 1 office in North Carolina – Exit Realty Mountain View Properties. You can reach us at 828-837-2288. We are available for all your real estate needs! Come to the beautiful town of Murphy located in the Blue Ridge Mountains. We have several long term rental homes available. 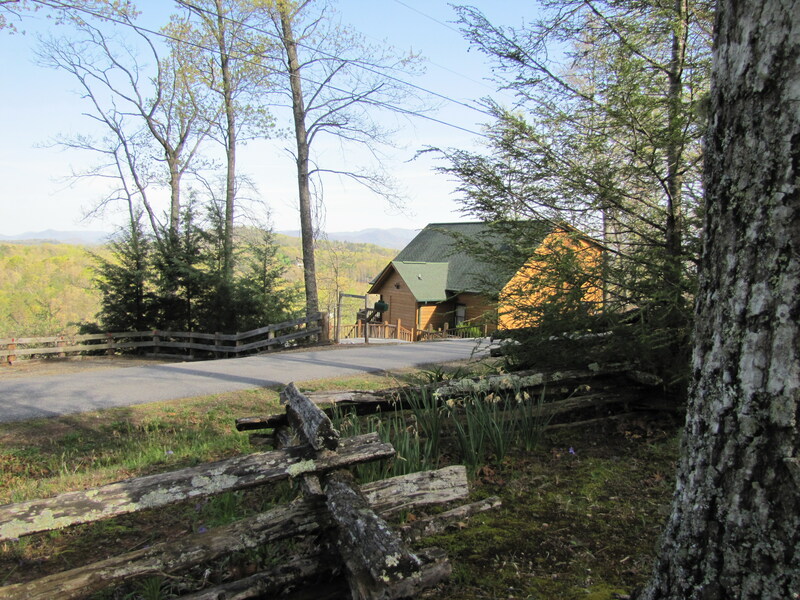 Our featured rental today is a great cabin. This cabin is fully furnished with two bedrooms and two baths. The large yard is perfect for pets or family get togethers. The cabin is located close to town but is very quiet. Enjoy the serenity and peacefulness as you sit in the hot tub on the deck. Or relax as you sit in the screened in front porch. There is a wood burning fireplace in the living room to snuggle up to on those chilly evenings. The floor plan is open so you can enjoy your company as you work in the kitchen. The rent is only $575.00 per month plus utilities! This is a great deal! Do you ever wish you were someplace else? We can help you with that! We have the perfect place for you! Beautiful Long Range Mountain Views come with this Mountain Chalet that will exceed all expectations of quality, comfort and creativity. A sense of tranquility greets you the moment you enter the great room. A large stone gas fireplace anchors one end of the room. Large windows embrace the stunning views of over 40 miles away! The natural beauty, warmth, and smell of Western Red Cedar is boldly used throughout. The cedar endows the cathedral ceiling with an intimate, cabin feeling. A large rustic dining room table anchors the other half of the great room and offers the essence of “dining with a view.” At night the custom chandelier in the dining room and the light from the deer antler chandelier by the fireplace gives an ambiance that is nothing less than magical. Chiseled pearl black counter tops continue the rustic look in the well appointed kitchen. Stainless steel appliances are used throughout. A gas grill is located under the covered deck, ready for your BBQ. Through a hidden “secret door” (that delights people of every age) lies the large master suite. Rough-sawn cedar wainscoting with dark tan travertine floors frames the queen size bed with its custom built twisted vine headboard. Through the hand built cedar door with antler door handles lies the master bath. The large master bath offers a travertine shower, cedar wainscoting, and a vanity made from 100 year old red oak with a hammered copper washbasin. Twisted vines lend rustic charm to the staircase that leads to the loft and second bedroom. One of the most unique features is the massive rough-sawn cedar-timber bunk beds stretching from wall to wall. Lie in the top bunk and use it as a day bed surrounding yourself with its incredible bird’s eye view. A sense of calmness is found in the second bedroom with its cedar sloped ceiling, custom rustic headboard, and a unique one of a kind chair. A second full bath with its custom cedar door, antique white pine vanity with a stone vessel sink engages the senses. The setting, the view and the rustic elegance of this chalet will give you memories for a lifetime. Paved roads and concrete driveway. WIFI and HD Satelite TV. Sorry, no pets. To view all our vacation rentals go to http://www.exitmurphy.com. Here at Exit Realty Mountain View Properties we take care of all your real estate needs. Call us at 828-837-2288. Wow…..you can tell it’s spring. Our agents have so busy this week. Our brand new agent, Wayne Cofer, listed four properties this week. Helen Russell, listed two houses. Kathy Vetten had two closings. Corky Vetten listed home sites in Hideaway Hills in Murphy, NC. We have the best agents around. The are award winning agents. Our agents are the best in their field and really know how to take to care of their clients. Spring has really arrived in the Blue Ridge Mountains of Murphy NC. The flowers are blooming, the sun is shining and the temperatures are perfect for outdoor activity. With temperatures in the mid 60s its perfect for hiking, fishing or sitting in the park enjoying the weather. 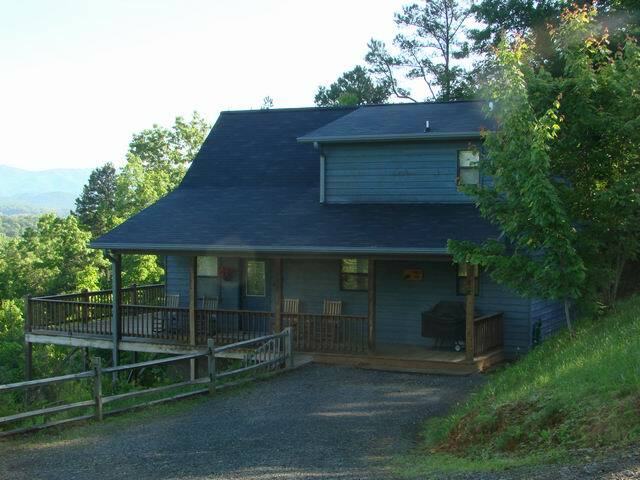 If you are planning a trip to Murphy, NC check out our vacation rentals at http://www.exitmurphy.com. We are here to serve all your real estate needs whether it’s buying, selling or renting. Call today at 828-837-2288. A record was broke in Murphy, NC 28906. It’s been confirmed that Tyler Shields of Murphy NC caught a 66.1 pound striped bass while fishing Saturday on Lake Hiwassee. The fish is a heavy hitter coming in at 47.5 inches long with a 35 inch girth. Tyler used 10 lb. test line with a Zoom worm. The last state record was set in 1991 when a 54.2 lb fish was caught in the same lake that Tyler caught his. Congratulations, Tyler! Come to the beautiful lakes and mountains of Murphy, NC located in the Blue Ridge mountains to enjoy a great fishing trip! Also available is white water rafting, arts and wine tasting. You will love it so much here that you will want to have your very own cabin here. We can help you with that! Whether you want to buy or rent we can help you. Call Exit Realty Mountain View Properties at 828-837-2288 for all your real estate needs! Each month Exit Realty Mountain View Properties gives two awards. One is for the listing agent of the month – this is the agent who lists the most listing in the company. Then we have one for selling agent of the month – the agent who sells the most during the month. The agent receives a certificate for their acheivements. The selling agent gets to park in a special designated space in the parking lot. This month we would like to congratulate Helen Russell for being both Selling and Listing Agent of the Month. We are so proud of our agents here at Exit Realty Mountain View Properties. We have a great team! So, if you are looking to buy, sell or rent give us a call at 828-837-2288. Exit Realty Mountain View Properties in Murphy NC – For All Your Real Estate Needs!